Bharat Bandh HIGHLIGHTS: The Union Home Ministry on Monday issued a nationwide advisory to ensure that adequate security measures are put in place to prevent any violence during the anti-quota bandh. Over a dozen people were injured in the violent clashes between supporters of the Bharat bandh and a pro-reservation group comprising OBCs and Dalits on Tuesday. The bandh have been called against caste-based reservation in education and jobs. The Union Home Ministry on Monday issued a nationwide advisory to ensure that adequate security measures are put in place to prevent any violence during the bandh. The bandh call has not been endorsed by any major outfit. Little-known groups, such as Sarv Samaj from Rajasthan, have also issued statements calling for the bandh. According to security sources, calls for an anti-quota bandh started circulating on social media after Dalit protests last week. Unlike the previous Bharat Bandh that saw Madhya Pradesh as being worst hit by acts of violence and hooliganism, Tueday's anti-reservation stir hardly provoked any act of violence in the state. "The bandh passed off peacefully in the entire state. At Sidhi, some people tried to take out a protest march but they were dispersed after the police lobbed tear gas shells," Inspector General of Police (Law and Order) Makrand Deouskar told news agencyt PTI. 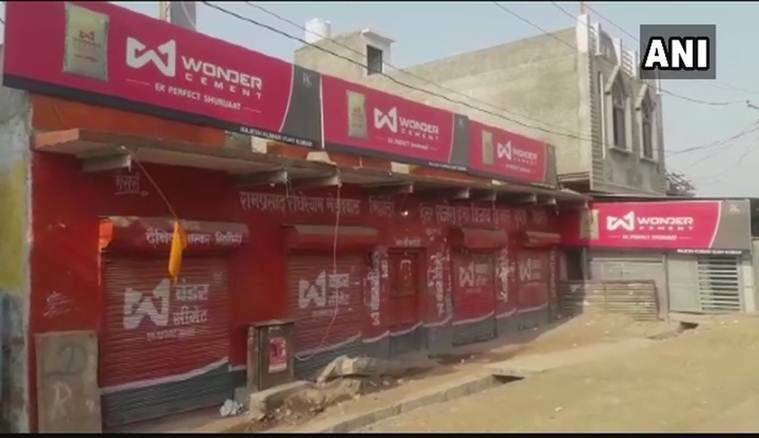 The "Bharat bandh" had no impact in Uttar Pradesh today with life remaining by and large normal across the state, a senior police officer said. "There was no report of any untoward incident from any part of the state and life was normal," Deputy Inspector General of Police (Law and Order) Praveen Kumar told reporters at the Home department's briefing here. In state capital Lucknow, life was normal with traders opening their shops and vehicles plying on the roads. Government and private offices and schools too functioned without any hinderance. 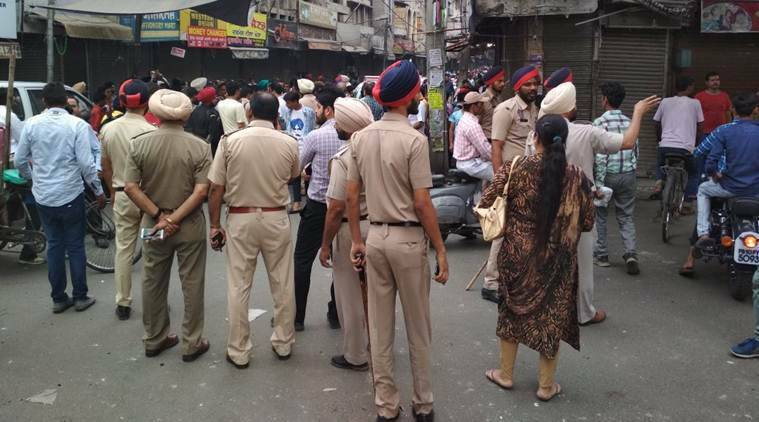 A clash has been reported from Ferozepur in Punjab where Dalit shopkeepers were allegedly forced to shut their shops by 'general category' people. As a result, three people have been injured and at least four motorcycles have been damaged. "One person got injury due to sharp edged weapon while two others have blunt injuries. 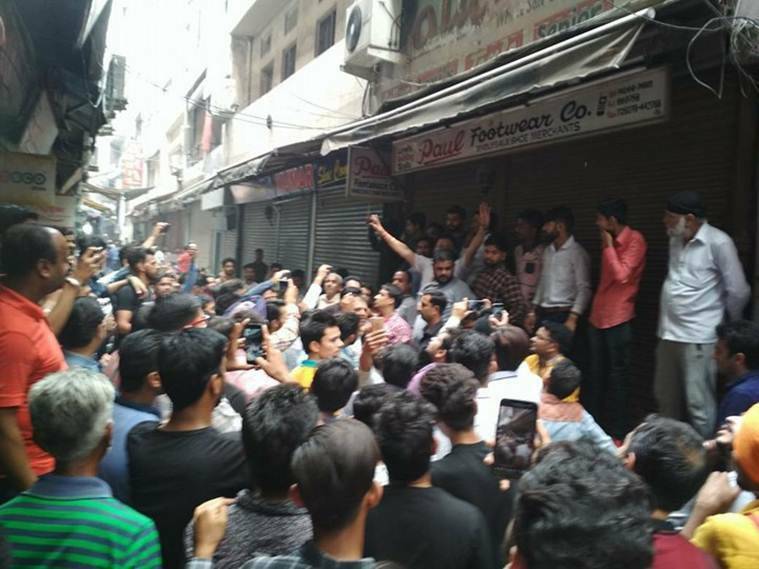 It is yet to be ascertained whether it was a clash between two communities, though clash happened over difference of opinion over closing shops," Amarjeet Singh, SP(Headquarters) told Indian Express. Commercial oulets remained shut in parts of Punjab including Hoshiarpur, Phagwara, Sangrur and Bathinda. News agency PTI reported that several protests were observed in the state across multiple locations. A total of 127 people have been arrested in Bihar connection to the Tuesday's protests that were called to oppose the caste based reservations in education and employment, reports ANI. The protests reportedly turned violent as protesters pelted stone on police authorities. 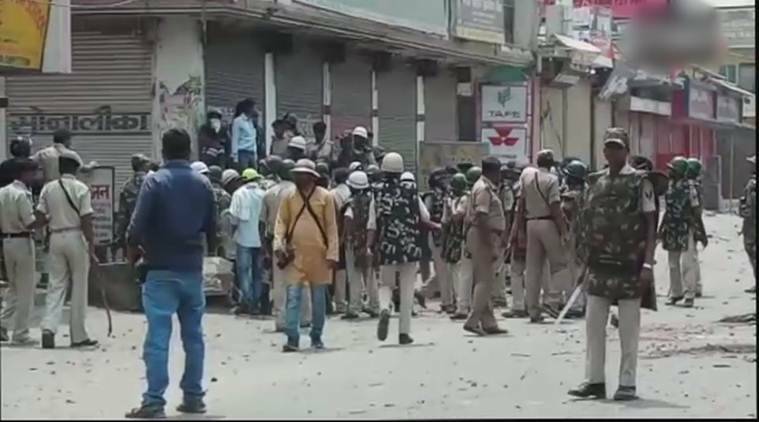 Protesters in Gaya's Manpur resorted to stone-pelting as they clashed with the police, reported ANI. 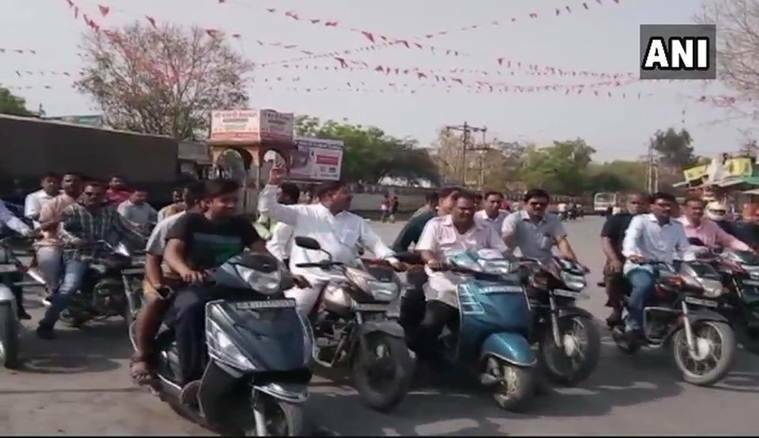 Recap: A nationwide anti-quota bandh call today received mixed reactions with shops remaining closed in some parts of states such as Madhya Pradesh and Rajasthan amidst heavy security arrangements, while internet services were restricted in a few sensitive areas. Reports from Bihar showed attempts to block trains, while some schools suspended their bus services in Bhopal, Madhya Pradesh (MP), which was the worst hit during the April 2 nationwide bandh called by Dalit groups with at least eight people being killed in violent protests. Jaipur police commissioner Sanjay Agrawal said that senior police officers are in the field and reviewing the situation. "No incident has occurred so far"
“We have made elaborate security arrangements and the situation is quite normal. No incident has occurred so far. Prohibitory orders are in place and mobile internet services have been blocked in Jaipur,” Jaipur police commissioner Sanjay Agrawal said. The police administration tried to meet the organisers of the bandh, but no one came forward as its convener. “Since there is no responsibility of the bandh call, it is likely that anti-social elements may try to disrupt peace. Therefore, tight security arrangements are in place today,” the ADG said. Prohibitory orders under Section 144 of the CrPC were imposed and mobile internet services blocked in Jaipur. District police chiefs and collectors have been asked to take prompt action in case of untoward incident. There was no demonstration or rally in favour of the bandh in Jaipur. Public vehicle services were normal. ADG (Law and Order) NRK Reddy said that the situation in the state is peaceful. Paramilitary forces including contingents from BSF and CRPF have been deployed in sensitive areas across the state, the police officer said. The nationwide strike evoked mixed response in Rajasthan as well, with the authorities imposing prohibitory orders and blocking mobile internet services in the state capital to prevent violence. In some parts of the state including Jaipur, shops and business establishments remained shut and private schools were closed. Morena had witnessed widespread violence during the 'Bharat bandh' on April 2 called by Dalit outfits protesting against the alleged dilution of the SC/ST (Prevention of Atrocities) Act. "Curfew will be in place from 7 am to 9 pm today in Morena. We have no information about the organisations that have given the call for the bandh. The night curfew that started on April 2 continues," Morena's collector Bhaskar Lakshakar said. Bhind's collector Illayaraja T earlier said six companies of the Rapid Action Force (RAF), a specialised riot control unit of the Central Reserve Police Force (CRPF), and the state police's Special Armed Force have been deployed. DIG, Chambal region, Sudhir Lad said that curfew was imposed in Bhind from 9 pm yesterday and would continue till 6 pm today. "Internet services in the Chambal region too have been blocked to prevent rumour-mongering," he said. Bhopal range Deputy Inspector General of Police Dharmendra Choudhary had said yesterday that the social media messages were being monitored. He had warned that those spreading the hate messages would be booked under the Section 188 of the Indian Penal Code for disobedience to order promulgated by public servant. The security arrangements across Madhya Pradesh have been beefed up in the wake of a shutdown call reportedly given by the groups opposed to caste-based reservations. 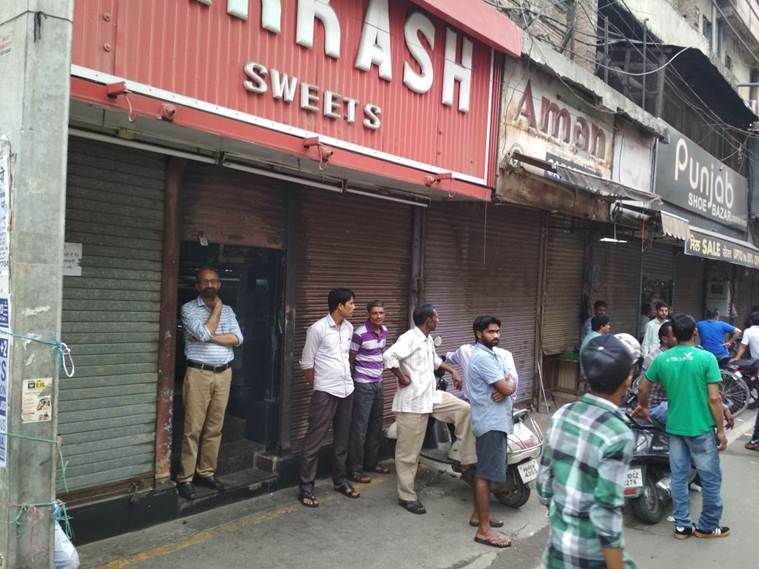 The officials said the call for the bandh was given on social media and no organisation had come forward so far to claim responsibility for it. The internet services too have been blocked in the Gwalior-Chambal region to prevent rumour-mongering. "We are monitoring the situation. There has been no impact of the alleged bandh so far. The state police is also keeping a watch on the social media," Madhya Pradesh Home Minister Bhupendra Singh was quoted as saying by PTI. 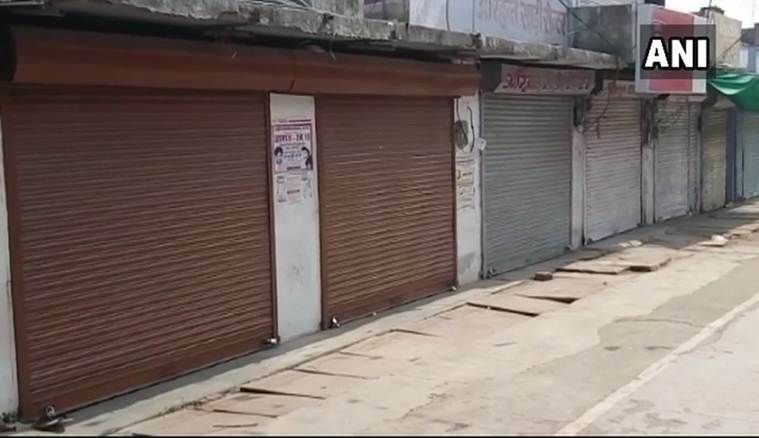 The 'Bharat Bandh' called by some groups opposed to the caste-based reservations evoked a partial response in Madhya Pradesh today, with some shops remaining closed in Bhopal during the morning hours. The schools in the state capital remained open even as some of them suspended their bus services, sources said. The government and private offices and schools too functioned without any hinderance in Uttar Pradesh. The life in Lucknow remained normal with traders opening their shops and vehicles plying on the roads. 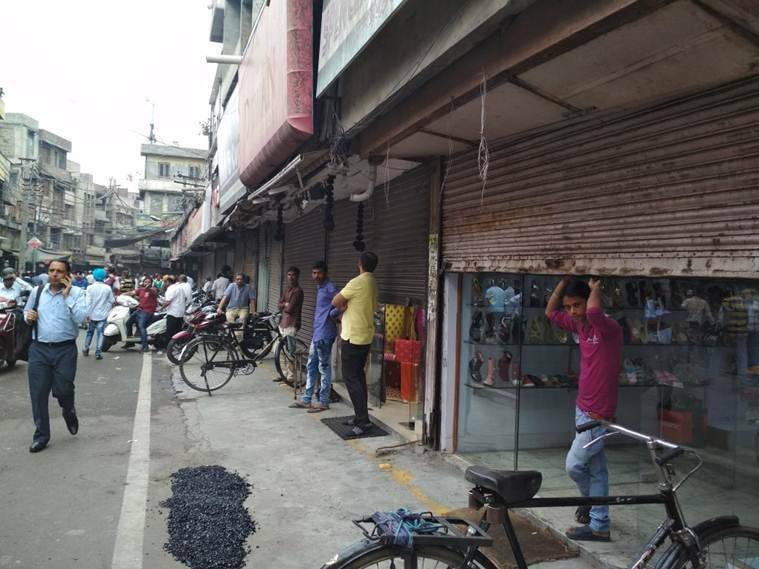 According to IANS, hundreds of youths opposing reservation to SC/ST and OBCs and supporting Bharat Bandh, have blocked roads at several places, halted trains and forcibly closed markets in Patna, Begusarai, Lakhisarai, Muzafffarpur, Bhojpur, Sheikhpura and Darbhanga districts. Supporters, mostly upper castes youths, blocked roads and forcibly enforced the nationwide shutdown in Arrah town, Bhojpur district. Additional security has been deployed in Ara. Over a dozen of people were injured on Tuesday in a violent clash in Bihar during the "Bharat Bandh" called by various groups to protest against reservation policies, police said. 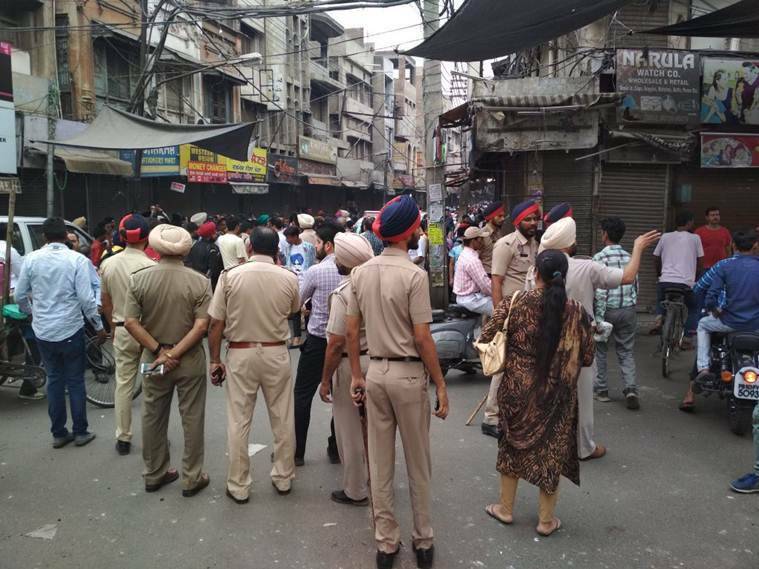 "More than a dozen people were injured in the violent clash between supporters of the Bharat Bandh and a pro-reservation group comprising OBCs and Dalits," a district police official said. Police put on high alert in all districts of Uttar Pradesh in view of a Bharat Bandh against caste-based reservation in education and jobs. In the wake of IPL match to be organised in Rajasthan's Jaipur on Thursday, adequate police have also been deployed in and around SMS Stadium. Internet services will remain suspended in Jaipur from 12 midnight on Monday till Tuesday night. STF teams have been deputed at different locations of the city, he added. In view of Bharat Bandh, prohibitory orders will be clamped in Rajasthan's Jaipur, officials had said on Monday. Police Commissioner Sanjay Aggarwal, in a press conference, said that no procession or protest will be allowed on Tuesday and strict action will be taken against offenders. The Internet has been suspended in UP's Saharanpur as well since midnight. Meanwhile, terming the Supreme Court’s recent judgment on the Scheduled Castes and Tribes (Prevention of Atrocities) Act 1989 as “an act of inflicting judicial atrocity on Scheduled Castes and Tribes of the country”, Independent MLA from Vadgam Jignesh Mevani on Sunday threatened to launch a fresh Dalit agitation if the BJP government at the Centre failed to promulgate an ordinance before April 14 — the birth anniversary of Dr B R Ambedkar. Gwalior Collector Rahul Jain had said Section 144 will remain in force in Morena till April 20. No impact of Bharat Bandh call seen as yet in Meerut. The latest bandh call does not seem to have gained much traction among states in south, west and north-east India, officials said. MHA had issued an advisory that some groups would be protesting against caste-based reservations in jobs and education.